According to a recent IIHS study, automatic emergency braking can cut rear-end crashes by as much as to 40 per cent. 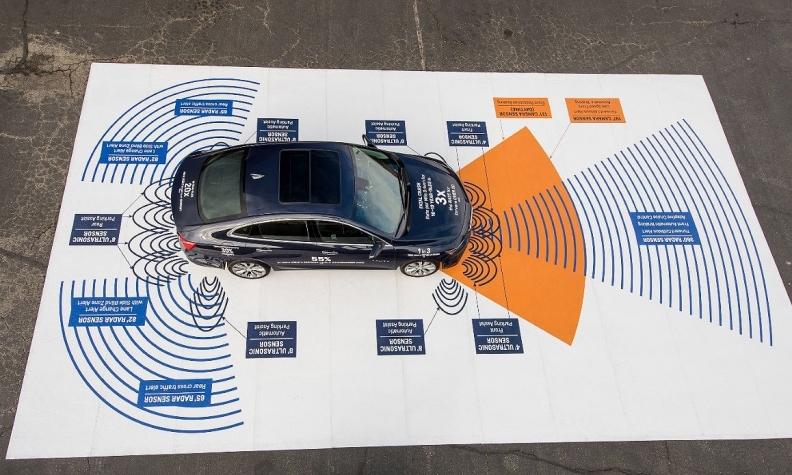 New-car dealers have an extra incentive to push buyers to equip their cars with automatic emergency braking (AEB): a discount on their auto insurance. Aviva Canada, which sells auto insurance in every province, now offers drivers of AEB-equipped cars a 15-per-cent discount on new policies as well as renewals. Aviva calls the move an “industry first,” although other safety discounts exist in the industry, such as for drivers who use winter tires. The Insurance Bureau of Canada confirmed Aviva is the only insurer in the country to offer a discount to those who have cars with AEB. AEB uses sensors to detect impending forward collisions and first alerts the driver to take corrective action. If the driver does nothing, the system applies the brakes to prevent a crash, or lessen damage if there isn’t enough time for a full stop. According to a study by the U.S. Insurance Institute for Highway Safety, AEB can reduce the incident of forward collisions by 40 per cent, although less than 10 per cent of new cars in the United States — mostly luxury vehicles — make AEB standard. AEB is, however, quickly trickling down as an option for more mainstream vehicles such as the Honda Civic, Subaru Impreza and Hyundai Santa Fe. In March of 2016, the U.S. National Highway Traffic Safety Administration and the Insurance Institute for Highway Safety announced a commitment of 20 automakers, representing more than 99 per cent of the U.S. auto market, to make AEB standard for virtually all new cars no later than Sept 1, 2022. Toyota went one step further and announced AEB will be made standard in most of its new vehicles sold in Canada by the end of 2017.